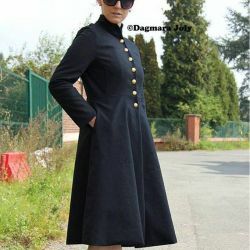 Womens midi coat- Dagmara Joly! Made to measure. Please leave your measurements in the form below, Don't forget to hit the "Save" button at the bottom of the form before adding it to your cart .